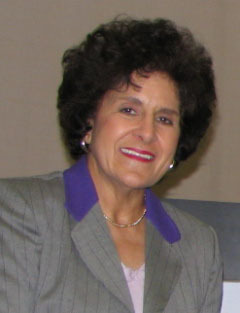 Nadjia Varney is the producer and host of, SCHOOL TALK, a weekly PBS, Satellite, Internet, and Cable Television talk show on EDUCATION, and the producer of the SCHOOL TALK VIDEO LIBRARIES. Reading Education from Rhode Island College, and a number of professional awards. She has co-authored curriculum resource booklets, and has conducted workshops throughout the Northeast. Ms. Varney's in-depth discussions with recognized leaders in education, government, psychology, and commerce make the SCHOOL TALK VIDEO LIBRARIES which are an archive of the shows, lively but substantive. She takes a distinctive, no-nonsense approach and sorts out "the real issues" from sensationalism. The range of issues is wide, including topics such as school reform, standards and testing, literacy, curriculum issues, parent involvement; and important social issues like teen suicide, self-esteem, youth violence, and minority affairs.